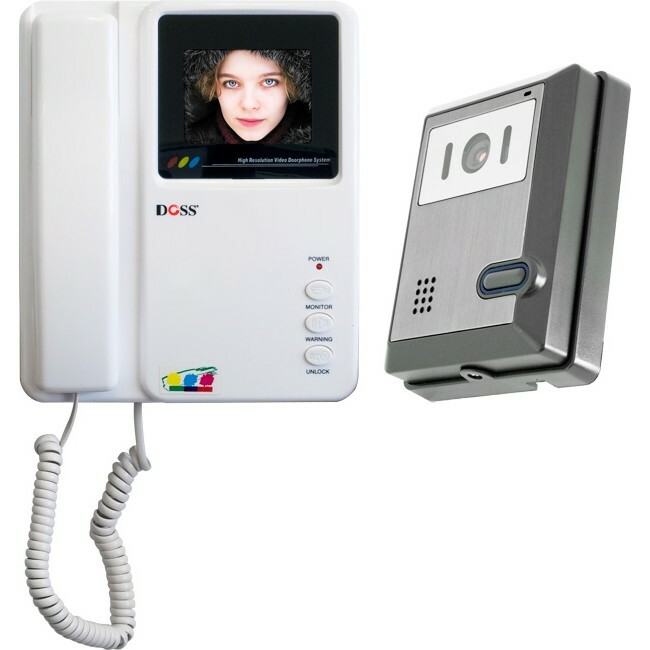 High quality plastic surface mount colour video intercom system, 4 Wire Connection. The plastic surface mount camera unit features a lens with vertical adjustment and 6 IR LEDS for night viewing. Auto turn off time 60 Secs. option is activated via the door station.